We're Officially on the Internet Fan edit Database! J.R.R. 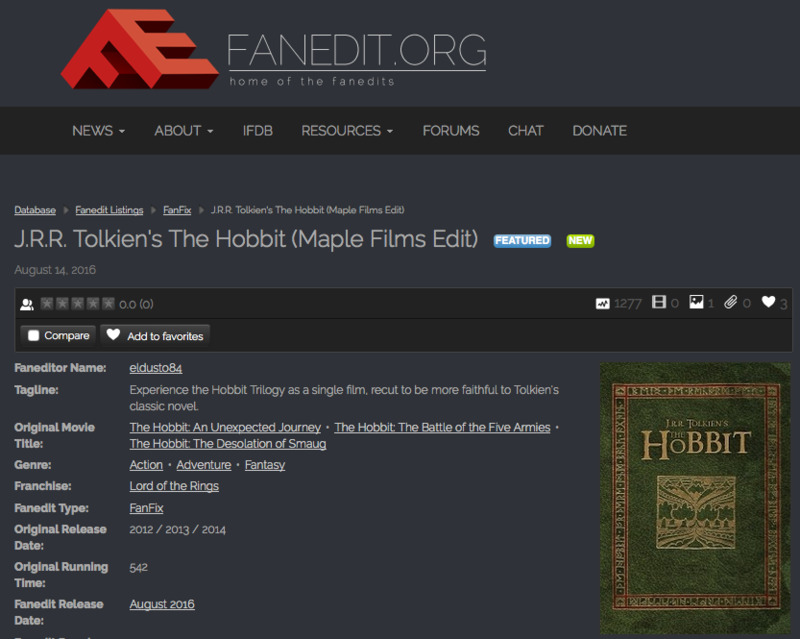 Tolkien's The Hobbit is officially listed on the Internet Fan Edit Database! This is THE main database collection for fan edits online. 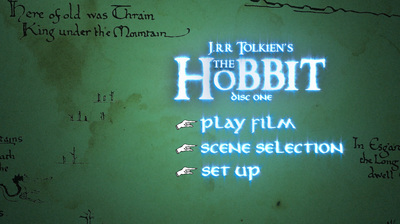 If you enjoyed this version of the Hobbit, please follow the link below and leave a nice review on the IFDB page! You'll probably need to create an account first however. 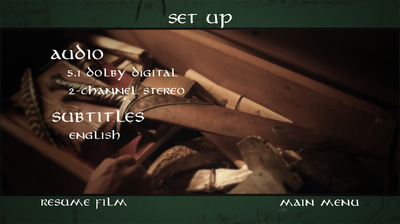 It's quick and free, plus you can then access the forums and learn about all sorts of different edits for other films. The amount of fan edits for the Star Wars films alone is unreal. Thanks and please do leave a review- I'd greatly appreciate it! The Internet Fanedit Database (IFDB) is a database of fanedits, allowing fans of fanediting a means to review edits that they have seen. Neither IFDB nor its parent site, Fanedit.org, host links or files for fanedits. Merry (almost) Christmas! Things have been moving slowly but surely for me in terms of building the DVD/Bluray for J.R.R. Tolkien's The Hobbit. Never before have I encountered so many bugs and errors trying to put a project together. Each disc for each format requires a separate project, so that's 4 projects with 8 hours of content. 10 hours if you count Durin's Folk. A lot can (and will) go wrong with that much content. But it's coming soon, I promise! Here's a first look at the menus I've designed for the fan edit. They will look identical on both DVD and Bluray. An unfortunate casualty of all of this is that I will not be able to include subtitles in the Bluray/DVD release. The software I use for disc authoring (Adobe Encore) continually crashes across multiple platforms and versions when importing subtitles. When I am able to get them imported, they have serious syncing issues. It's a known bug with larger projects like this and sadly the program is no longer supported by Adobe. The only comparable disc authoring program out there is Sonic Scenarist and it costs around $35,000, so that's not an option. SO. I apologize to those of you that were hoping for subtitles, but I'm just not going to be able to include them in the DVD/Blurays. 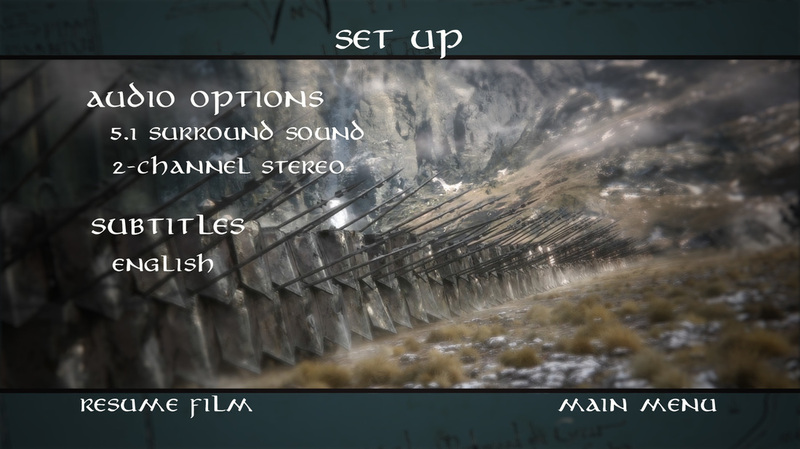 There may be ways to add subtitles to ISOs after the fact, so I will eventually make a page on my website where you can download the subtitle files and add them to the project yourselves. Sorry for the inconvenience! The final version of Durin's Folk and the Hill of Sorcery is now available! Hopefully many of you have been able to watch J.R.R. Tolkien's The Hobbit by now. 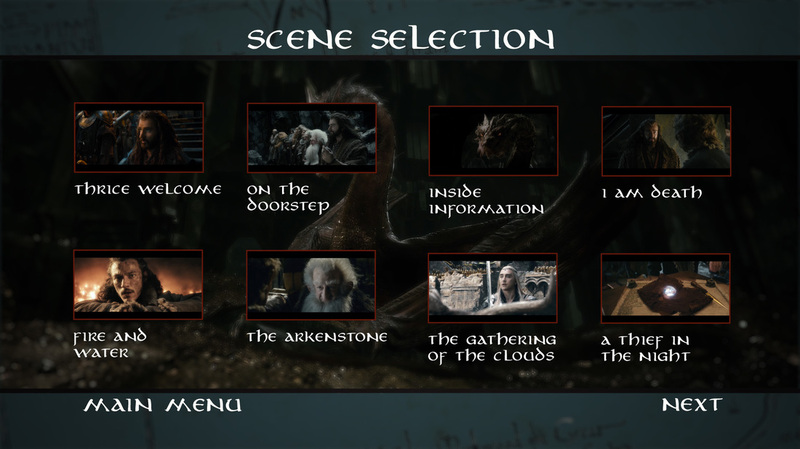 If you enjoyed that fan edit, then you may also enjoy Durin's Folk and the Hill of Sorcery, a companion film that focuses on the backstory of the dwarves and how it ties into the White Council's investigation into Dol Guldur. Below is the link to watch the film on Vimeo, where you can also download it directly under the video box. Alternatively, you can visit the Downloads Page and retrieve it via MEGA. 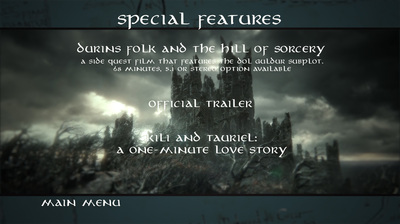 Durin's Folk and the Hill of Sorcery will be included on the special features of the DVD/Bluray release of J.R.R. Tolkien's The Hobbit. Coming soon! Durin's Folk and the Hill of Sorcery from Dustin Lee on Vimeo. The final version of J.R.R. 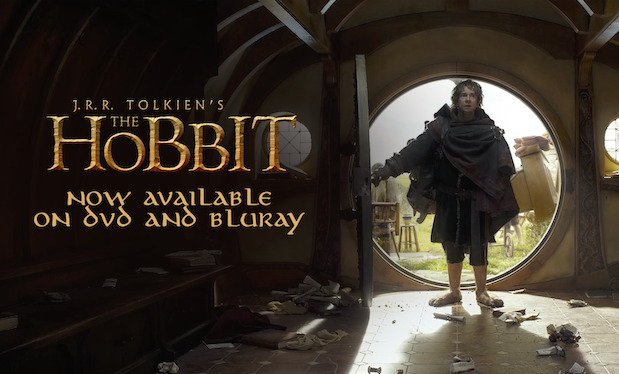 Tolkien's The Hobbit is now available! After more than two years of work, I am very excited to have completed the final version of J.R.R. Tolkien's The Hobbit! Here is the link to the Downloads Page for your convenience. This fan edit has been created using only the highest-quality media available...full HD Bluray and 5.1 surround sound. Working with 5.1 has given me far more options for audio editing than a simple stereo track. Here's just a sample of some of the work I've done on the film. 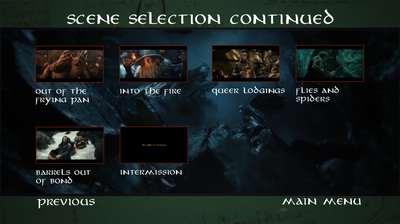 An Intermission splits the film in half, at the exact point where Peter Jackson originally intended to split the Hobbit when it was still two films. 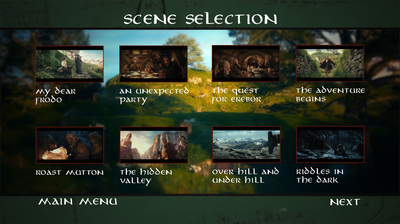 Overall, the film remains focused on Bilbo and the dwarves. Unnecessary subplots, characters, and CGI silliness have been jettisoned. That means no Tauriel. 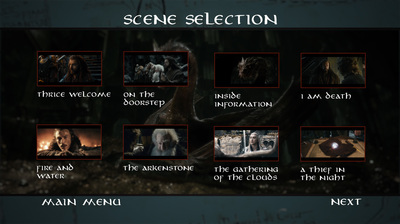 Color corrected in several sequences to match LOTR’s visuals more. Numerous digital alterations, including a new opening title, gold coating removed from Smaug, Radagast erased from an eagle flyover shot, etc. 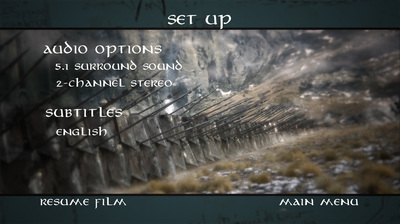 Several unused music cues by Howard Shore have been re-inserted in key scenes, including the famous Misty Mountains theme that was abandoned after AUJ. 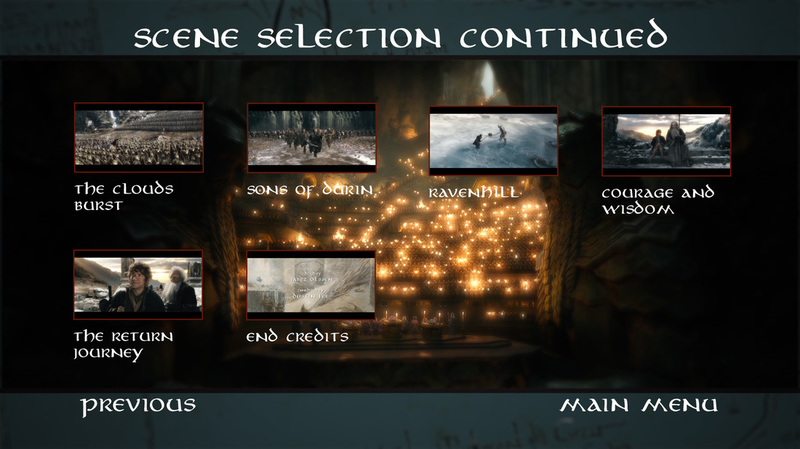 Various scenes from the Extended Editions have also been added where needed. Yes, Thorin’s funeral is in here. SO. If you’d like to watch this fan edit, I only ask that you legally own all three films in advance. It’s only fair to the copyright holders, regardless of how you feel about the original films. Right now you can enjoy the HD digital copy of J.R.R. 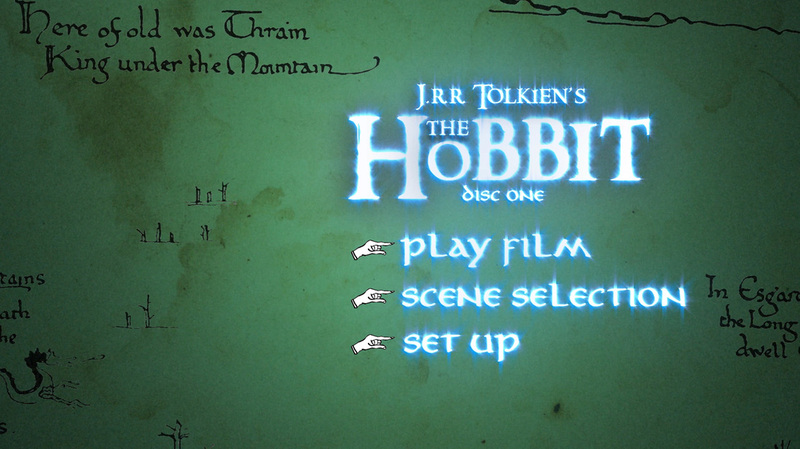 Tolkien’s The Hobbit, but in the next week or so you will be able choose from DVD or Bluray ISO files. They will both be 2-disc sets with custom artwork (available for free on my site). They will feature 5.1 digital surround sound, interactive menus, the whole shebang. Eventually I plan to add subtitles in multiple languages…several people have volunteered to help translate already! 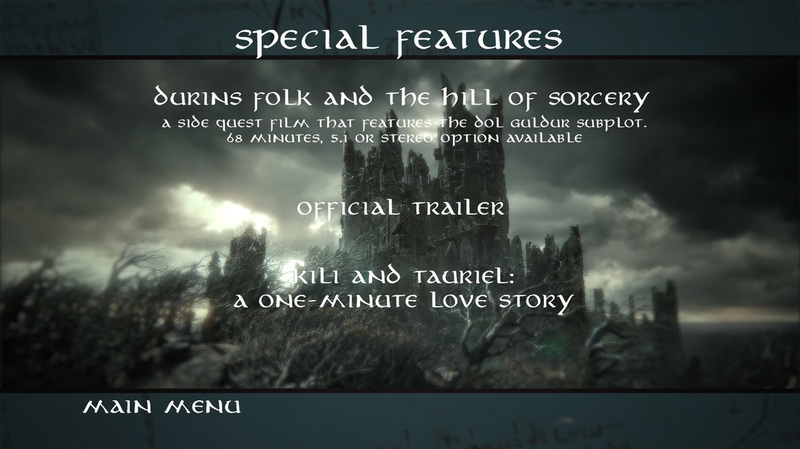 Finally, I’ll include a side quest film called Durin’s Folk and the Hill of Sorcery on the special features. 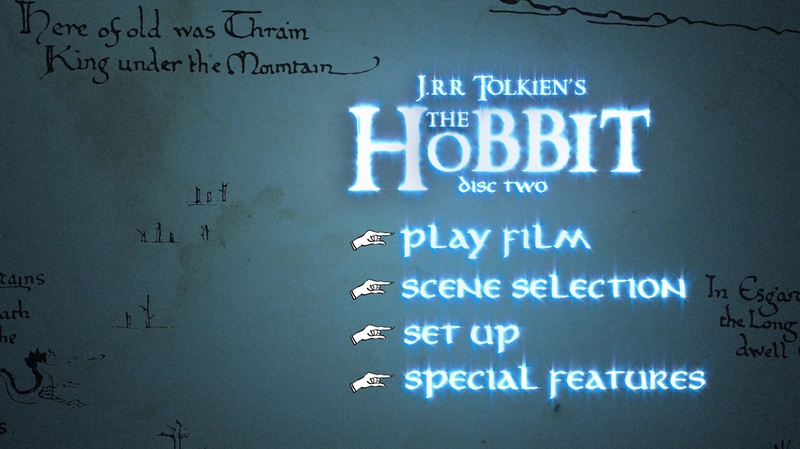 It’s an hour-long film that follows the Dol Guldur subplot and how it ties into the dwarves’ backstory. This subplot actually works a lot better when it’s not distracting from the main story of the Hobbit! Phew, long post. 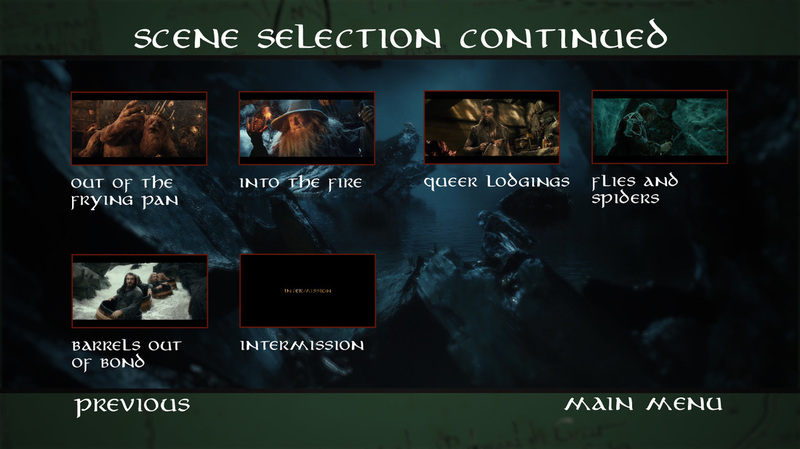 I’ve said it many times since I began working on this edit, but buried somewhere underneath the uneven, bloated Hobbit trilogy is a truly great film. For me at least, I have finally found that film. Hopefully you’ll think so too!